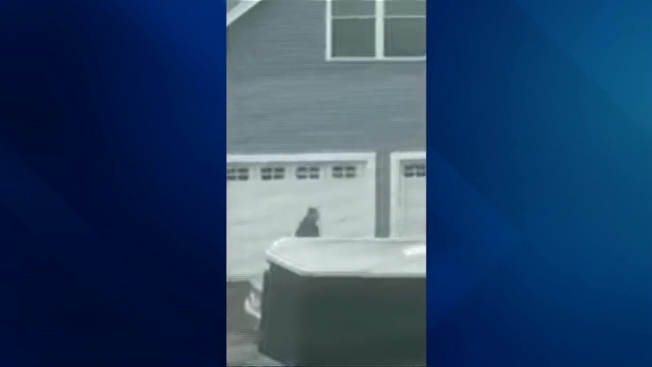 A neighbor recorded cell phone video of a man pulling up to a home in Pelham, New Hampshire, with a little girl in his car, in what police say may have been an attempted burglary. Authorities are looking for a suspicious man witnesses say brought a little girl to a home he may have been planning to burglarize in Pelham, New Hampshire, according to police. A witness recorded cell phone video Monday afternoon as a stranger tried to access the garage and home next door. The neighbor tells investigators the man pulled up in the driveway, got out of the car and circled the home. A young girl popped out of the car and yelled for the man to come back. That was enough for the man to return to the car, put the child back in, and drive off. He's believed to have been in a silver, four-door Honda Civic with a sunroof. The possible attempted burglary took place on Piper Lane at the new Bayberry Woods development. Police would like to speak with the driver, a man who is about 6 feet tall with short brown hair. They are calling him a person of interest.